Finding a breakfast cereal that is both healthy and delicious is no easy feat. Trust me I have searched high and low, I have found and I have been sorely disappointed. I’ve been bored by porridge (shock horror) and I’ll never be able to hack All Bran. Even those seemingly innocent packets of muesli hide some pretty sugar-coated nasty’s. 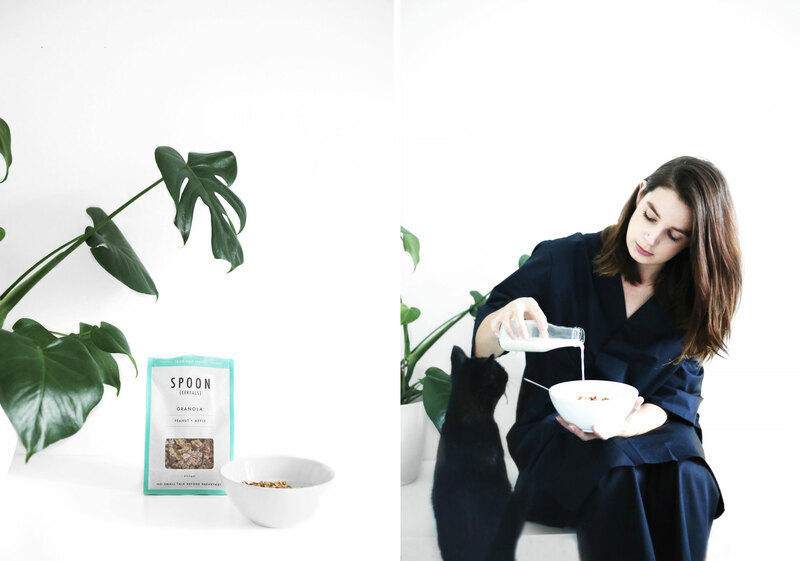 I was wandering around our work food hall at Harvey Nichols a few months ago and I fell upon Spoon Cereals. 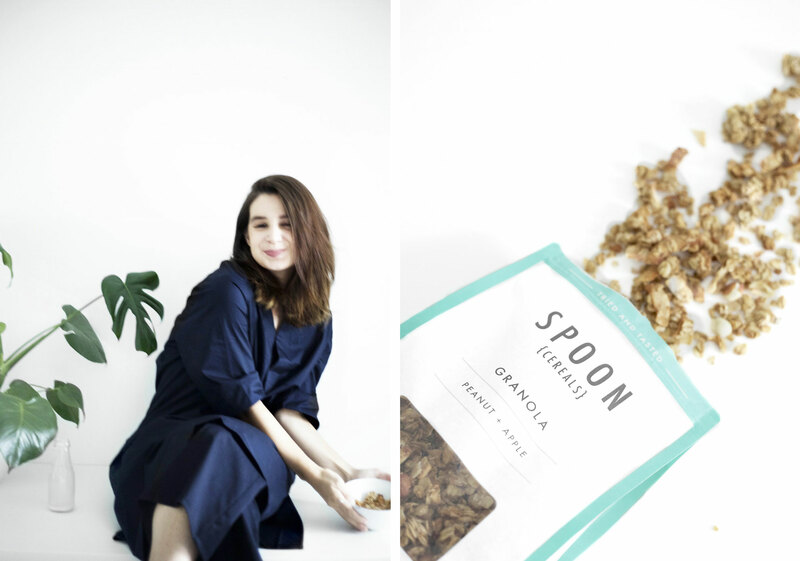 Creators Annie Morris and Jonny Shimmin are possibly even bigger cereal fanatics than I am, and their Peanut and Apple Granola is all kinds of delicious. I’m not obligated to make a song and dance about this product – in fact everything on my blog is bought, tried and tested by myself (and I will always let my readers know if I’m collaborating with a brand). 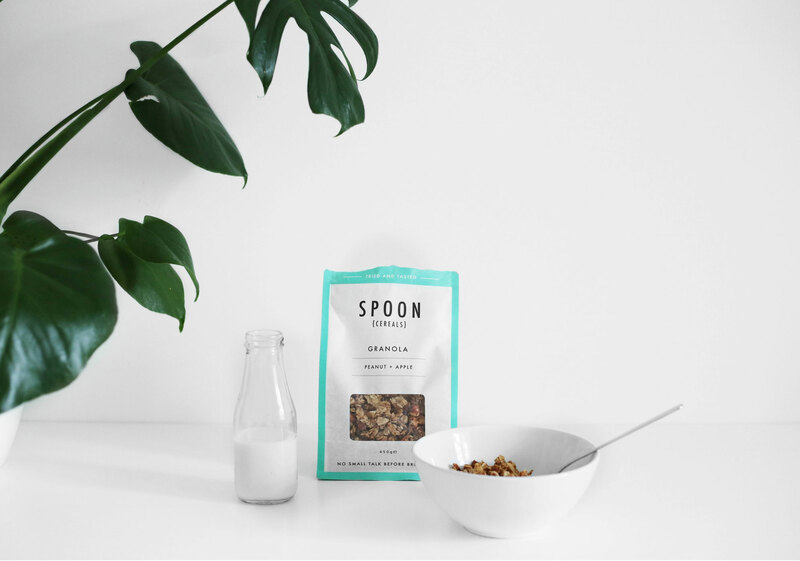 Spoon Cereals are 100% a brand I have tried and loved and am now recommending to my wonderful health and fitness enthusiasts. Containing all natural ingredients (wholegrain oats, honey, coconut, peanuts, maple syrup, rapeseed oil, cinnamon and sea salt), Spoon Cereal’s granola is the answer to all my early morning rushed breakfast prayers. Sprinkled over Greek yoghurt or simply served with almond milk they keep me on track for the rest of my working day – In fact this bowl was so good even Toots tried to get her paws on it… Goodbye bland cardboard cereal, hello crunchy bowl of peanutty goodness!